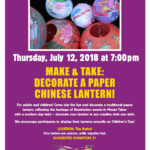 Lantern Painting – Make and Take! For adults and children! 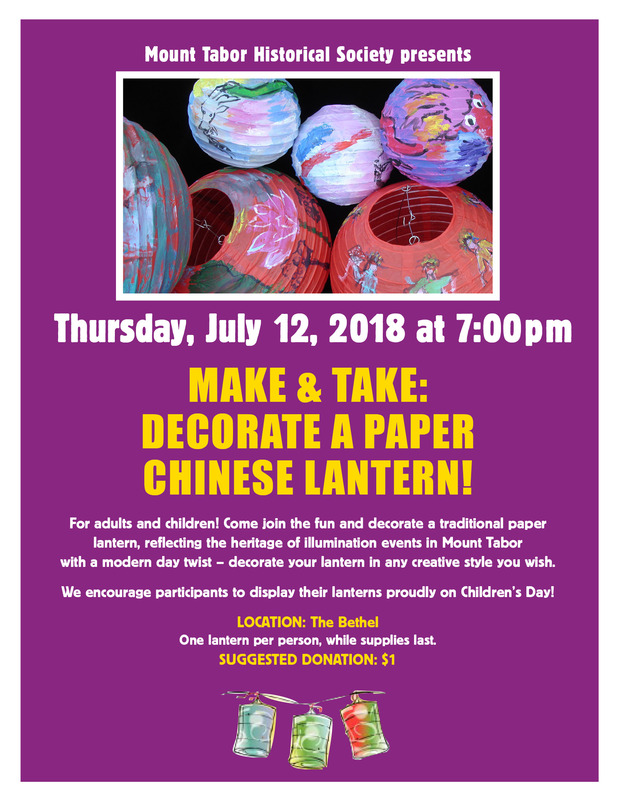 Come join the fun and decorate a traditional paper lantern, reflecting the heritage of illumination events in Mount Tabor with a modern day twist – decorate your lantern in any creative style you wish. 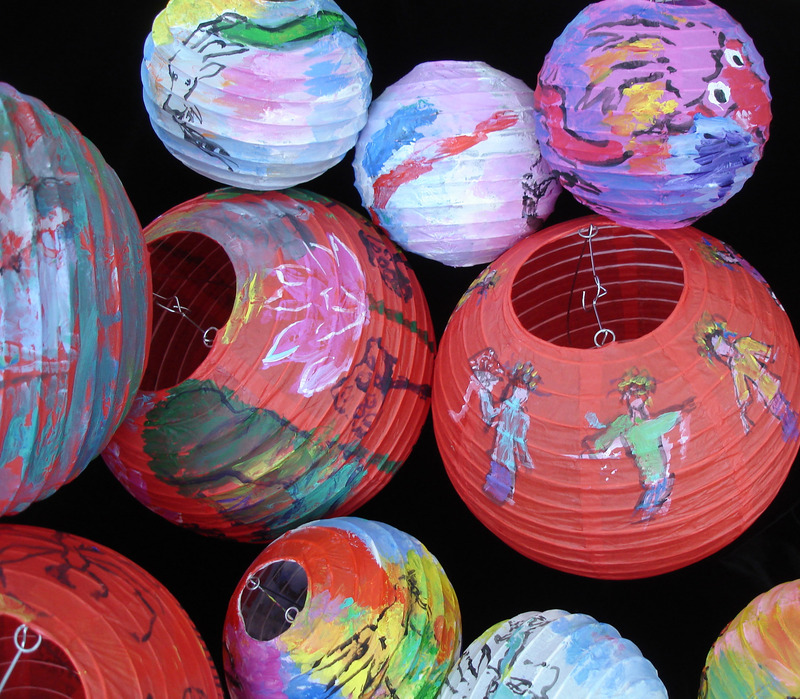 We encourage participants to display their lanterns proudly on Children’s Day! One lantern per person, please. Quantities are limited, available while supplies last! Suggested donation of $1 to cover supplies.